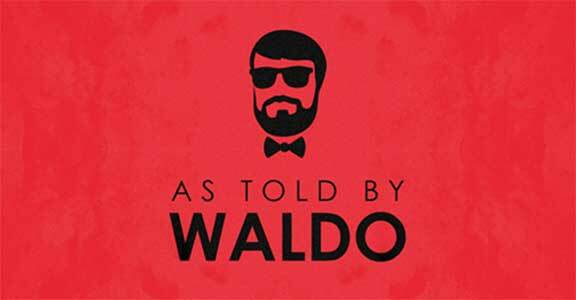 News of note, major milestones, and pertinent links will be posted below. For the most up-to-date posts and goings-on, please follow us on our social network pages. 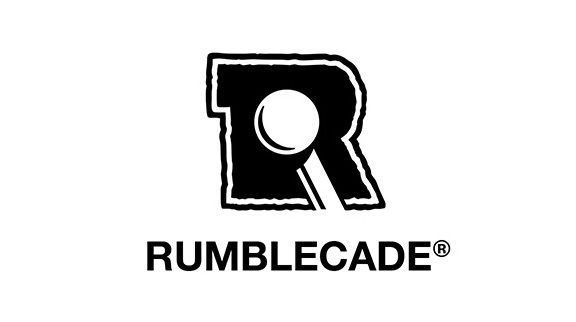 We are proud to announce that RUMBLECADE® is now a Registered Trademark of Rumblecade LLC. 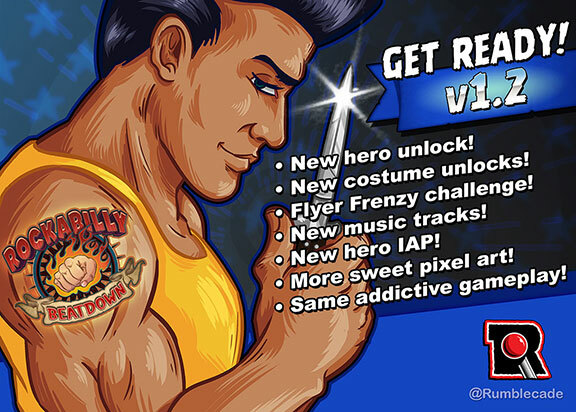 Here's a link to a great writeup of Rockabilly Beatdown's latest update at Touch Arcade. TouchArcade is an active mobile gaming community and the forums continue to be a great place to interact with our players. Our fourth update for Rockabilly Beatdown is now live! Content includes the rip-roarin' HOTROD super move to really rack up those hits! Be sure to update for all the great new features, or if you're new to the scene, check it out on the App Store, Google Play, or itch.io today! 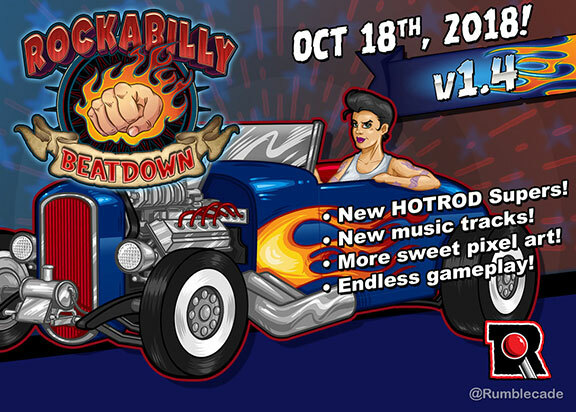 We've just published Rockabilly Beatdown for DESKTOP on itch.io ! That's right, you can now punch your way to glory right from your Windows PC or Mac. Pound those keys and make it sound like you're working, or let off some steam after hours with your favorite controller. The desktop version includes ALL content from the mobile game, so it's one click shopping for every hero and level. Head on over and check it out! Our third update for Rockabilly Beatdown is now live! Content includes a new Negazone level, limited edition hero skins, and enhanced gameplay FX! Also many under-the-hood improvements to keep the game running snazzy on all the latest mobile devices. Be sure to update for all the great new features, or if you're new to the scene, check it out on the App Store or Google Play today! 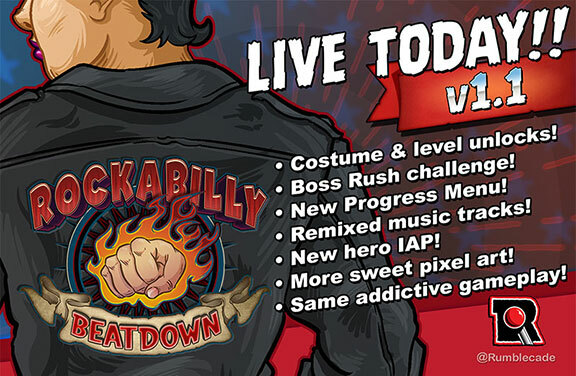 Our second content update for Rockabilly Beatdown is now live! Lots of exciting new content including new heroes Manny Switchblade and Kondo Kazuki! But perhaps the biggest news here is our first release on Android, opening up the game to a whole new mobile audience. 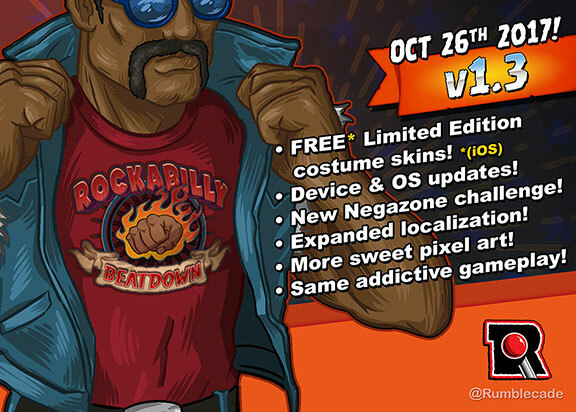 Here's a link to a great writeup of Rockabilly Beatdown's latest update at TouchArcade. TouchArcade is an active mobile gaming community and the forums have been a nice place for us to interact with our players for feedback. 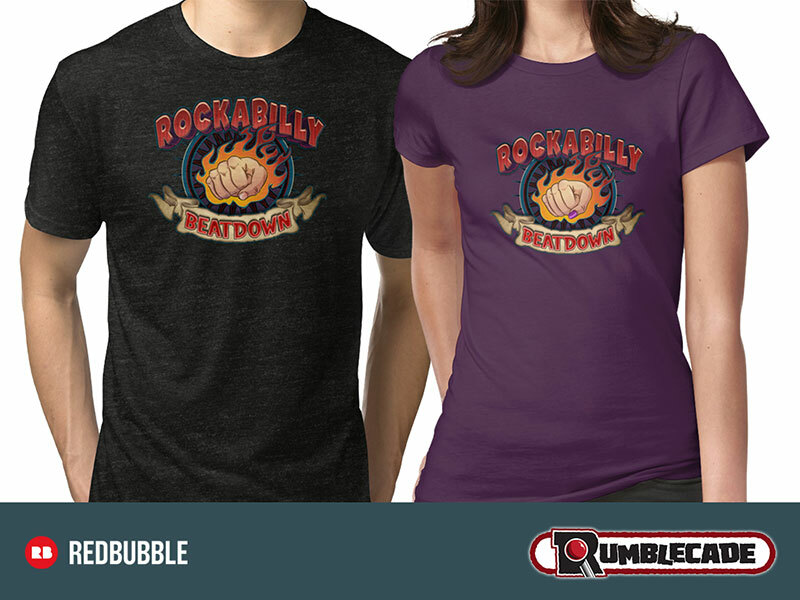 Our first content updatefor Rockabilly Beatdown is now live! Be sure to update for all the great new features, or if you're new to the scene, check it out on the App Store today! It's been a whirlwind 24 hours, but after months of hard work, Rockabilly Beatdown has gone gold and been approved for Sale on the iOS App Store! Thank you to all of our friends, family, and loyal supporters-- now go get this game and get punching!! Our flaming fist logo can now be had on a variety of wearables over on our Redbubble storefront. Be sure to try out the new tri-blend shirts for a super soft, worn-in feel. Rumblecade approved! Here we have some final gameplay footage showcasing hero Ace Knuckles. Always find the latest Rumblecade videos at Rumblecade's Youtube channel. ROCKABILLY BEATDOWN BETA FOOTAGE UPDATE! Tons of improvements and particle craziness! Check out the latest Rumblecade footage at Rumblecade's Youtube channel. If you follow your gamedev on Playfield, be sure to add Rumblecade to your feed! As there are many social flavors, you can still of course find us on Twitter, tumblr, and Facebook. 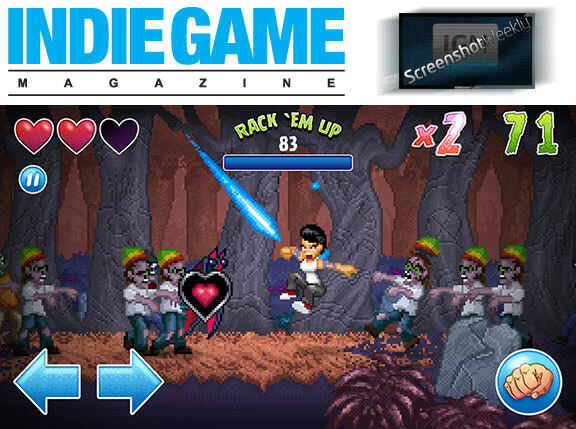 Some cool attention for Rockabilly Beatdown over at Indie Game Magazine. New screenshots and a nice little write up in thier Screenshots Weekly feature helped spread the Rumblecade word. Check it out! Rumblecade loves t-shirts! So we've set up a Redbubble page as the staging ground for all our coolest t-shirt designs. 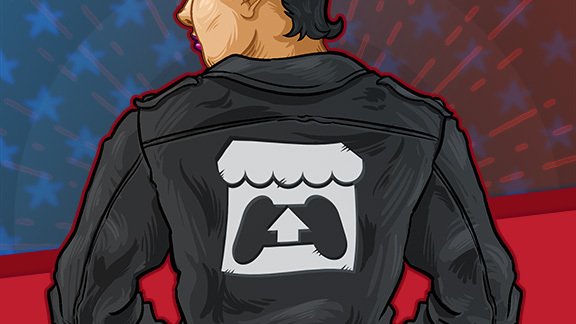 Our first offerings include the ultra-rockin' Flaming Fist, Rockabilly Beatdown, The Heart of Pixels, and the Rumblecade logo. 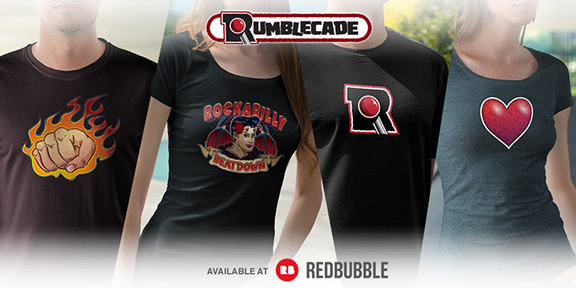 Check out all our groovy designs at Rumblecade's Redbubble Page. New animations, new heroes, new enemies, and new environments! Great news! Rumblecade is excited to announce that we've teamed up with none other than Benjamin Briggs, who will be creating the soundtrack for Rockabilly Beatdown! Be sure to stop by www.benbriggs.net to check out all his awesome music. Check out some early gamelpay footage at Rumblecade's Youtube channel. Website becomes all spiffy biffy. It has been in the works for some time, but now it's official. Welcome to Rumblecade!